What you’ve never seen before. 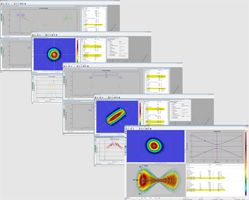 CINOGY’s beam profilers are available with the specifically designed beam profiling software RayCi, which utilizes new developed correction algorithms and incomparable visualizations modes. This ensures the highest accuracy in beam profile analysis according to ISO standards.